Organization for life on the water. 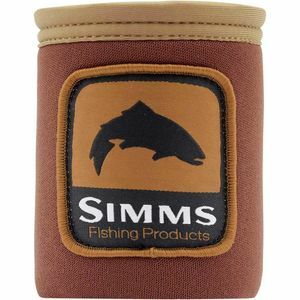 Forget fumbling with messy backpacks filled with stray tippets, spools of fishing line, random tackle boxes, and baggies of hooks when you're packing the streamlined organization of the Simms Challenger Tackle Bag. Available in two sizes, there's a Challenger Tackle Bag to suit your particular needs for shorter day trips and extended fishing excursions alike. Both versions have a padded shoulder strap for slinging it across your body when you're walking down to the water. Rugged fabrics and water-resistant coatings withstand the abuse of tossing it in your truck's cab and laying it out on wet surfaces alongside the water. For organizational convenience, both bags accommodate Plano's 3700-size tackle boxes (not included). The large fits up to eight and the small accommodates three of these common tackle boxes. For sorting convenience, the transparent top lid allows you to spot what's packed inside and internal dividers make clutter a thing of the past.